Robots are nothing new, but their brains are getting bigger and better. 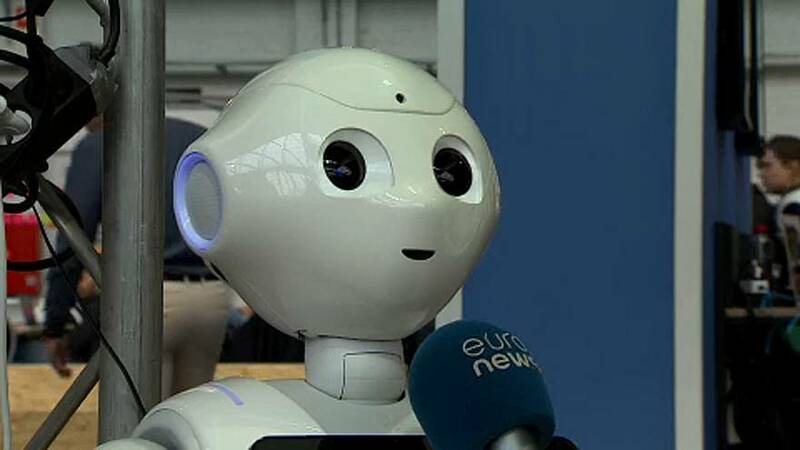 Artificial intelligence technology is one area where the EU wants to see more investment during its next budget period. It hopes to see pledges of at least 20 billion euros per year, through public and private cash. "We should create a climate in which start-ups can be set-up easily and are not directly overrun by big companies," said Francis Wyffels, Robotics and AI Professor, Ghent University. A focus of the recent 'Hack Belgium' event in Brussels, AI has some catching up to do in Europe - compared to the likes of America and Asia. The EU hopes to stand out by driving ethics standards, a hot topic in the wake of all the data scandals of late. Belgium wants to see excellence centres, to step up the pace of technology. "One of the things you could do is for example, country by country, create an AI excellence centre that does a very quick analysis in trying to understand in our classic industry today, what are the domains where AI can make an incremental difference today," Alexander De Croo, Belgian Deputy Prime Minister, told Euronews. "And in Belgium, that might be in biotech and in another country, it might be in oil exploration. But at least you make it very concrete at the start and then those excellence centres can be kind of helping SMEs in applying AI as fast as they can." Developers say we shouldn't be afraid of AI, highlighting that it's designed to make our lives easier. But there are sure to be mounting questions about ethics and privacy as its role increases.